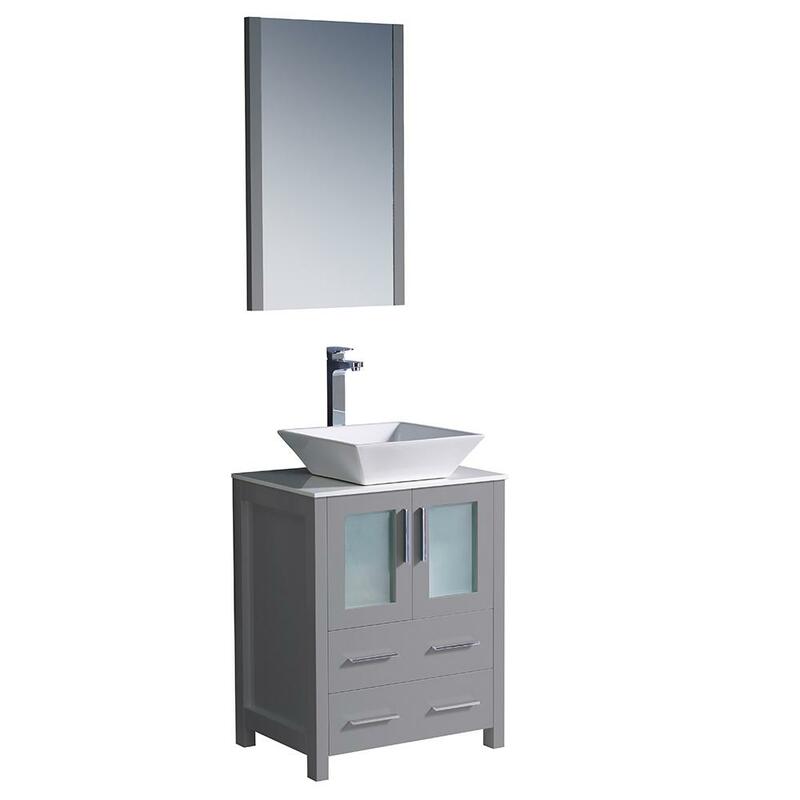 Complete your bathroom with the Fresca Torino Vanity. With a modern design, this vanity uses straight lines, sharp angles, and simple shapes to create an elegant and striking appearance. 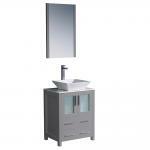 It has a freestanding build, giving your bathroom a more spacious look. Featuring a rectangular vessel sink, it will be an aesthetically striking and highly unique addition to any restroom. Constructed from medium density fiberboard, it can endure daily exposure to humidity and steam. Made out of white vitreous china, its sink provides a glossy surface that is both durable and simple to maintain.